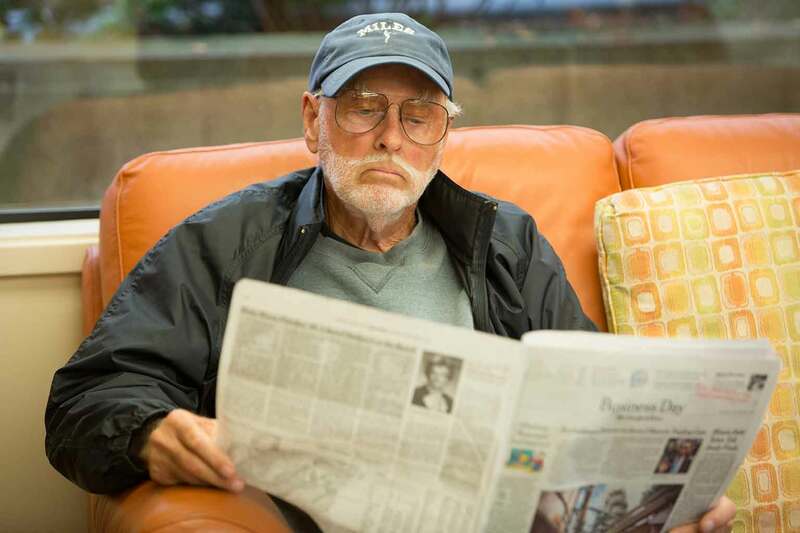 The Carmel Foundation’s mission is to provide a place for members to gather and enjoy a variety of activities and services in an environment of respect and camaraderie; it's a place to call home. " 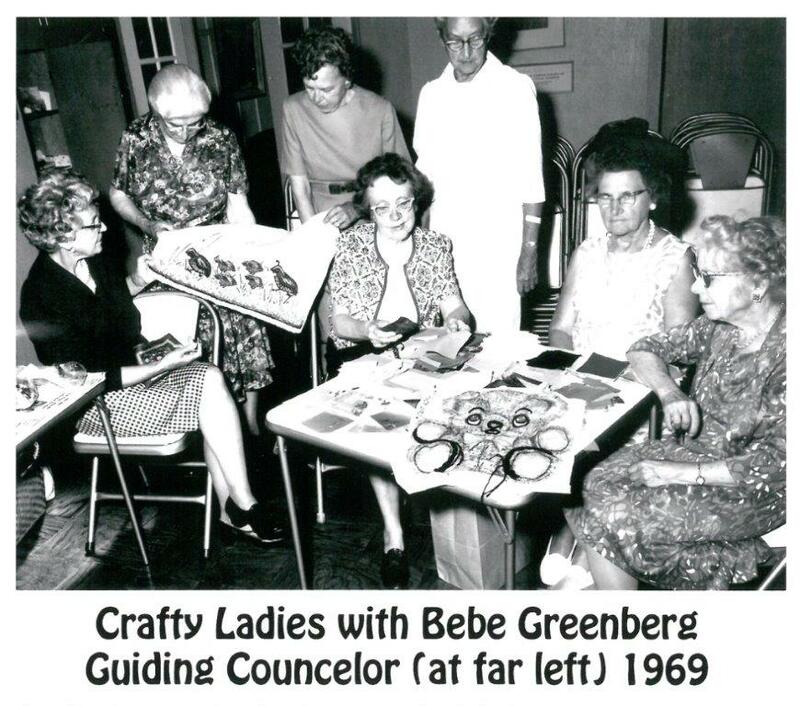 In the post-war days of the late 1940s, a group of locals decided to address the needs of the “old timers" in our community who were on their own and feeling insecure. 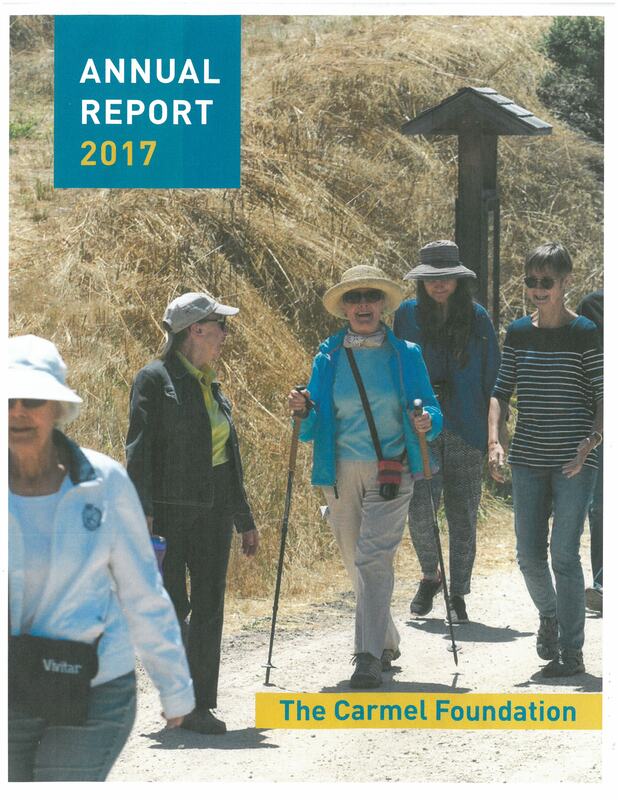 In April 1950, The Carmel Foundation was established and “An Adventure in Neighborliness” was set as the conceptual framework for the Foundation. Support services started almost immediately. “Many people, particularly those living alone, welcomed the opportunity to discuss their concerns and fears in an atmosphere of understanding and confidentiality. 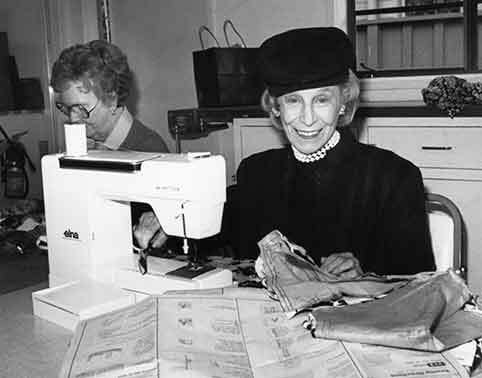 Listening to their problems resulted in our helping them…,” noted Mrs. Ruth Sarett, the Foundation’s first Executive Director. The inception of the Foundation’s low-income housing program began in 1962 with the purchase of a 4-unit apartment building. 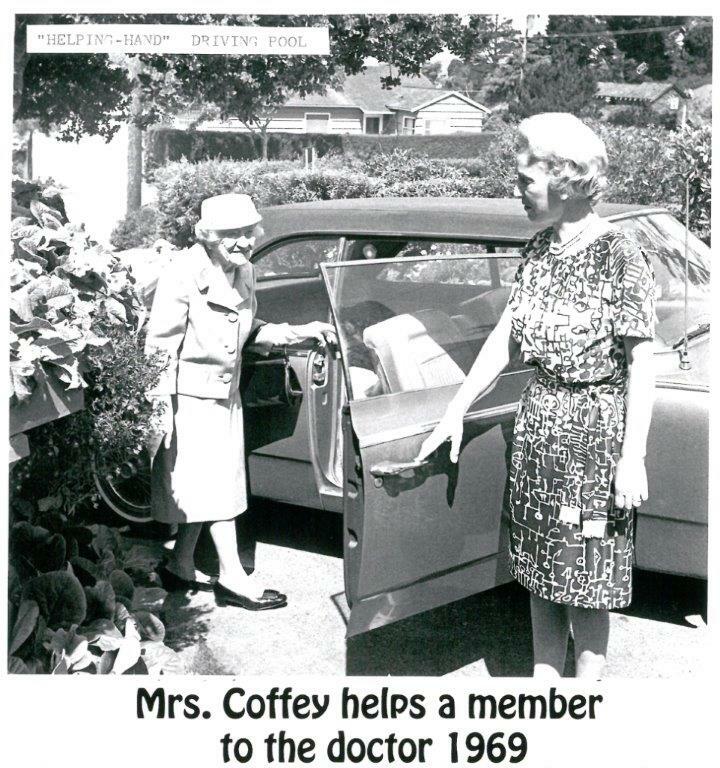 In 1964, the Foundation acquired a former hotel which was remodeled and became Trevvett Court in honor of Mrs. Sidney Trevvett, one of the founders and honorary president of The Carmel Foundation. In recent years, Trevvett Court was completely redone. In 1965, the acquisition of housing continued with Haseltine Court and in 1988, construction began at Norton Court. Today, The Carmel Foundation offers 50 apartments to low and very low income seniors from our area, so that those who made our community what it is today are not forced to relocate away from the area they call home. Homebound Meal Delivery started November of 1960 when volunteers delivered freshly made meals in sealed containers to those homebound. The cost in 1960 of a meal was $1.25. Today, meals are delivered to those who may not have the ability to provide themselves with a nutritious meal. Since the beginning of the program, volunteers have brought freshly made meals to these homebound. Today, the cost is $6 for a 3-course meal delivered by friendly volunteers. 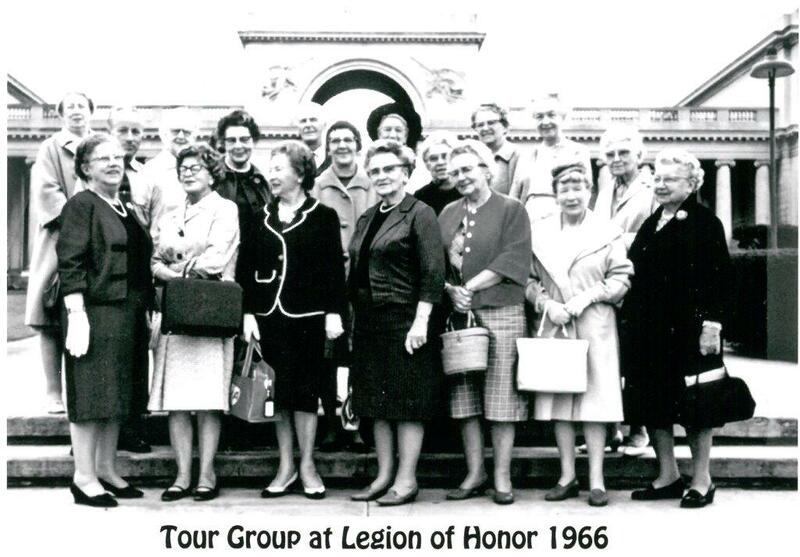 In the 1950’s, lunch at the Town House was a once-a-month potluck affair. By 1981, the lunch program service had expanded to four days a week. Today, chefs arrive before dawn to begin to preparing close to 100 meals each day. Members of all walks of life socialize with their peers, enjoying a delicious homemade meal. Making new friends quells the loneliness and emotional distress brought with age. The opportunity to learn something new in a stimulating yet safe environment lessens the effects of listlessness and loss of enthusiasm for life and its adventures. A number of classes that were originally offered are still being offered today, albeit a bit more relevant to our members’ current needs and interests. 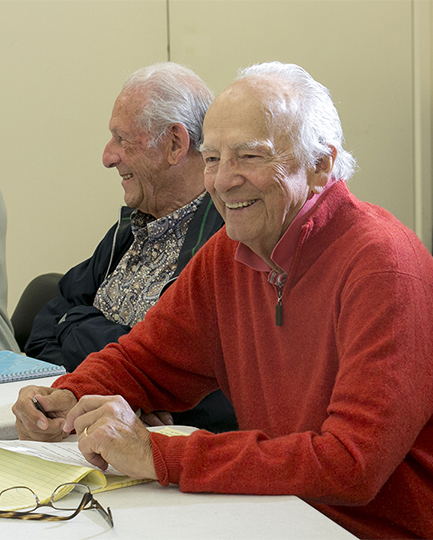 Over 50 classes are offered each week, some of which are physically stimulating, some are intellectually stimulated, some are simply fun; all of which create an opportunity for learning something new, engaging in life, and making new friends. Keeping relevant with the times, a brand new program was initiated in 1995 – the computer learning center. 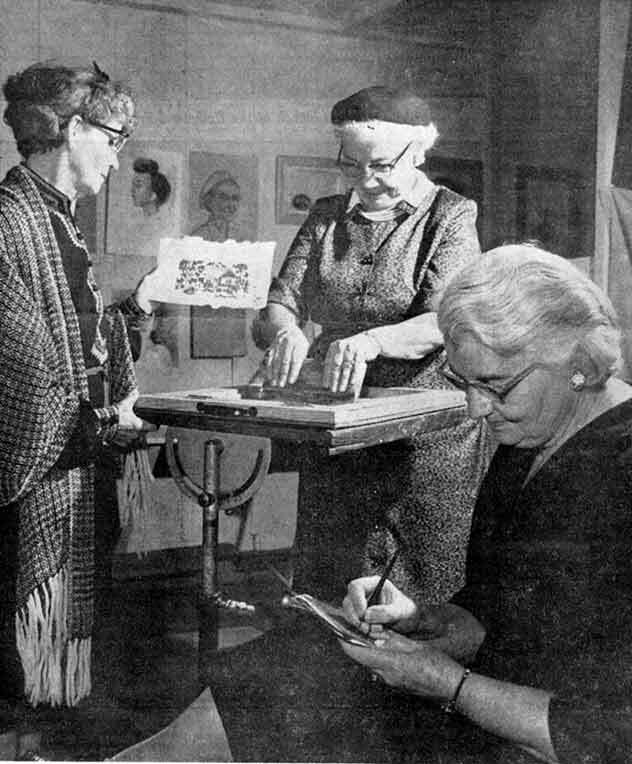 Within the first 5 years, 1,000 members were graduated from its classes. They didn’t have to feel intimidated about getting into technology. After all, they were learning together at the Foundation where they already felt comfortable and at home. Today, numerous technology classes are offered enabling seniors to FaceTime with their grandchildren or email a friend who lives far away. One-on-one and group classes are also available via a partnership with Mentor Up/Wired for Connections, a local club formed by high school students to help teach computer skills to local seniors. Currently, the Foundation’s operating budget is approximately $2.5 million. Each year, The Carmel Foundation raises over $1.8 million beyond program fees and membership contributions in order to continue our services and programs. Since our inception in 1950, we have not accepted government funding. The Carmel Foundation is a 501(c)(3) charitable organization. Donations made to the Foundation are tax deductible in accordance with current IRS regulations. Our Tax ID# is 94-1225368.